She was 16 years old when she met Daniel Byrd at school. They became friends, and then started dating. She brought him home to meet my husband and me. He was very polite and mannerly and held a good conversation with us. He said he liked Moon Valley High School and was on target to graduate. He told us a little bit about his family. He seemed like a very nice young man. He appeared to treat Kaity very well. They did the usual things that teens do when dating. They went to the movies, walked to and from school together, hung out with friends. It appeared to be a normal, healthy teenage dating relationship. However, a few months later, everything changed. Daniel became very possessive and controlling of Kaity. He didn’t want Kaity to share her time with anyone, including her own family, and he became very upset and verbally abusive if she did. Time went by and with every blow-up there was an apology; yet Daniel’s behavior continued to escalate as the relationship progressed. It became very dangerous for my daughter. Kaity tolerated his behavior for about six more months, but eventually she ended the relationship in late December 2007. Daniel was beside himself, and nearly a month later, as Kaity walked home from school, he followed her home. As she approached our house, he shot and killed her and then himself. That day will forever live in my memory as the absolute worst day of my life. My family was so overcome with grief that it was hard to see beyond the tragedy. We would question whether we had done everything we could have, and we would remind ourselves that we could not see this coming. When Kaity broke up with Daniel there was very little we could do legally to protect her from his abuse. What we did not know, and the experts will tell you, is that once someone leaves a violent relationship it is very possible that that person’s life just became 75 percent more dangerous. We tried to get an order of protection after he assaulted her for the third time and threatened to kill her. Unfortunately, the nature of their relationship did not meet the guidelines required by the law to grant an order of protection. Apparently, according to the law, the three previous times he assaulted her did not warrant an arrest. After the fog had lifted and we had returned back to work and to what was left of our lives, I began doing some research. I had been asked to tell Kaity’s story from my perspective at a domestic violence conference, and as I was preparing for it I was completely blown away by what I found. I was learning that what happened to our family has happened to many others. I also realized that what happened to our family did not only affect us, it affected our community and beyond. We had actually received condolences from people in the UK. My sister and my oldest daughter were watching as I was shaking my head in dismay. I looked at them and said, “We have got to do something about this.” From this, Kaity’s Way was born. The wheels were in motion; by September 2008 we had become incorporated, and we received exempt status approval in March 2009. Simultaneously, I was working with the Arizona Coalition Against Domestic Violence and Sen. Jonathan Paton on a bill to change the law in Arizona so that those in a dating relationship are protected under the law. It was a collaborative team effort. We prevailed and this bill became known as Kaity’s Law on September 30, 2009. We have made it our mission to advocate for healthy relationships by providing education, skills, and tools to youth and their allies. Our vision is a world without teen dating violence. 47 percent believe they know someone in an abusive relationship. 98 percent feel that Kaity’s story should be presented to youth in high schools or organizations. 95 percent believe more adults should be educated about teen-dating violence. Overall, our children are telling us they want and need this education. That being said, we have much to do, and we aim to do it. This is a societal issue. We need help on so many levels to create the shift to healthy relationships. Will you join us in our efforts? 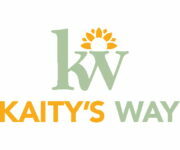 To learn more about Kaity’s Way please go to kaitysway.org. Donations can be made online or by mail to P.O. Box 83494, Phoenix AZ 85071. This entry was posted in Relationships and tagged abusive relationships, Arizona Coalition Against Domestic Violence, Bobbi Sudberry, dating violence, domestic violence, healthy relationships, intimate partner violence, Jonathan Paton, Kaitlyn Marie Sudberry, Kaity Sudberry, Kaity’s Law, Kaity’s Way, National Teen Dating Violence Awareness Month, partner abuse, relationship abuse, relationship violence by Planned Parenthood Advocates of Arizona. Bookmark the permalink.